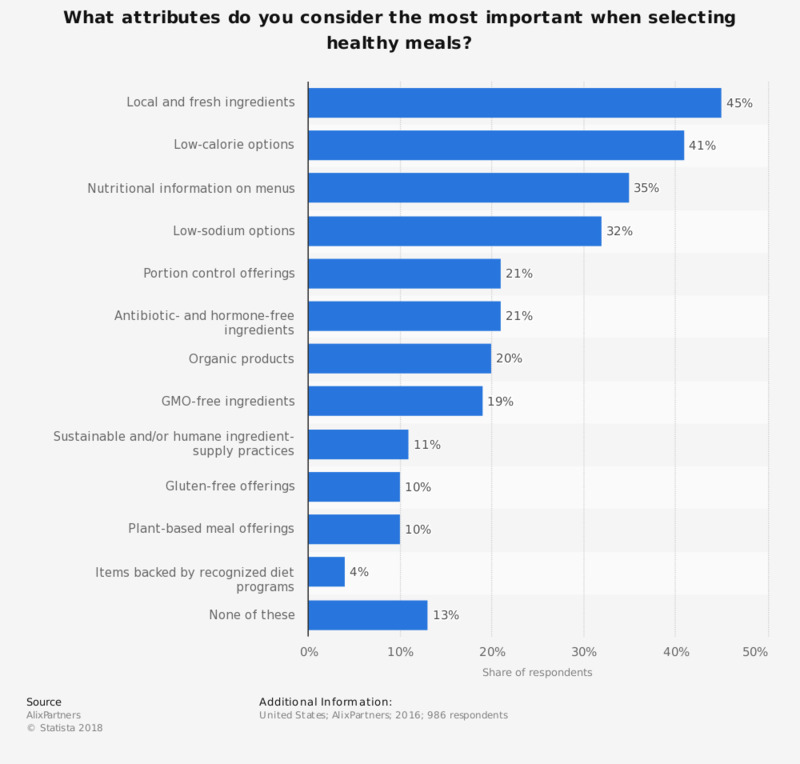 The statistic shows which food attributes are important to U.S. survey respondents when selecting a healthy meal in 2016. During the survey, 41 percent of respondents cited low-calorie options as important when selecting a healthy meal. Have you ever had any of the following unpleasant situations at a restaurant?